Little did I know, I would enjoy this movie as much as my kids. There are not many things happening in our world right now, that don’t require a crazy amount of brain power. There’s so much we have to think about and cipher through. So much that plays with our emotions…the news, politics, family life, parenting…. it’s all so much, sometimes. And then the world presents you with Monster Trucks. 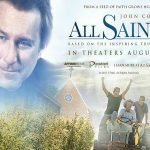 From nearly the opening scene, this movie had my attention, and I loved it! 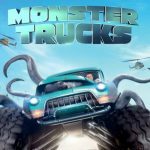 Monster Trucks is the story of Tripp, a high school senior who builds a Monster Truck from bits and pieces of scrapped cars. After an accident at a nearby oil-drilling site displaces a strange and subterranean creature with a taste and a talent for speed, Tripp may have just found the key to getting out of town and a most unlikely friend. Tripp was looking for any way to get away from the life and town he was born into. Along the way, he allows a girl into his life, fights for his own way of doing things and learns people aren’t always what they seem, in both good ways and bad. There’s no scary moments, no kissing and plenty of funny. It was a fantastic film to see with my family…and it was just what I needed to escape and sit back with pure entertainment. I’m so happy to give another 2 prizes away in promotion of this movie!! Enter below to win. 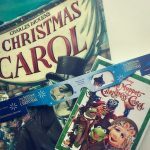 TWO winners will each win a gift box with 5 toys in it! All the toys you see here….you will win! Check out more cool Monster Trucks toys from SpinMaster, available only at Toys R Us! 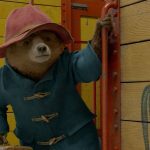 Our New Favorite Family Film, Paddington 2, Is On DVD & Blu-ray April 24th! 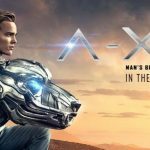 Enter To Win 4 Passes To A-X-L, Opening Friday! Jessica Cribbs is a homeschool mom to three and wife to a great man who supports all of her crazy ideas. She created BurbankMom.com in 2005 because she just loved being a mother in Burbank and wanted a resource for families. Jessica, originally from a small farm town in Michigan, has lived in Burbank for 14 years. She is a graduate of Eastern Michigan University. Coming Soon To A BurbankMom Favorite Near You!